A Dollop of That! 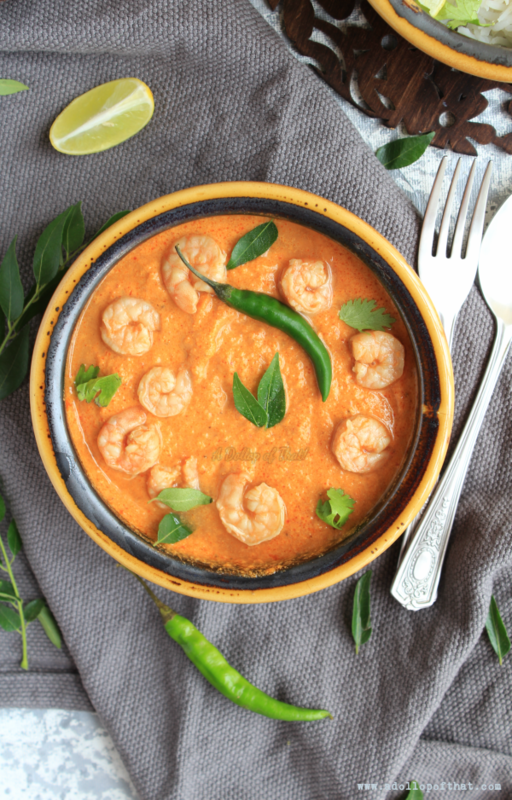 : Kolmi ni Curry ~ Prawn Curry, the Parsi way. Kolmi ni Curry ~ Prawn Curry, the Parsi way. From the kitchens of Punjab dishing out buttery Makkhanwala, to spicy Goan Vindaloo, from Kashmiri Roghanjosh to Kofta curry and from the Salans of Hyderabad to the Moilee of West Bengal, the Indian subcontinent, i.e. India and its neighbours are synonymous with their curries, every state, every region, every community has its own curry specialty, and in my opinion, each is better than the best and the above mentioned ones are only the tip of the iceberg! Growing up, I had a preconceived notion that curry was something that is exclusively prepared with coconuts be it red or green, for that is was formed a part of my bi-weekly diet. All else I brushed off as being 'gravies', little did I then understand or realise the culinary greatness of my beautiful country. 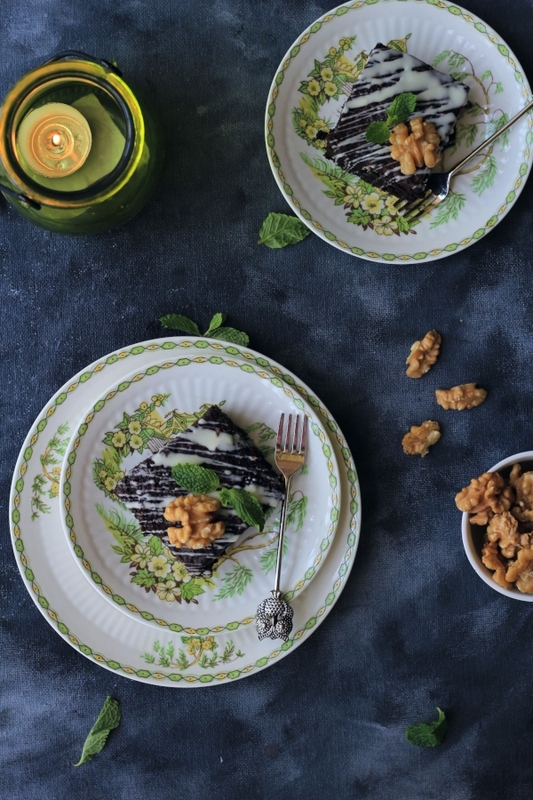 It's really very difficult for me now that I'm all grown up and ageing rapidly, to choose a favourite and someday I wish I could put up a lovely recipe for every delectable curry here on my blog, for now though lets start our play at home ground. As I earlier mentioned this Parsi Prawn Curry recipe, is one which was made by my grandmother and mother every week and I am no different. 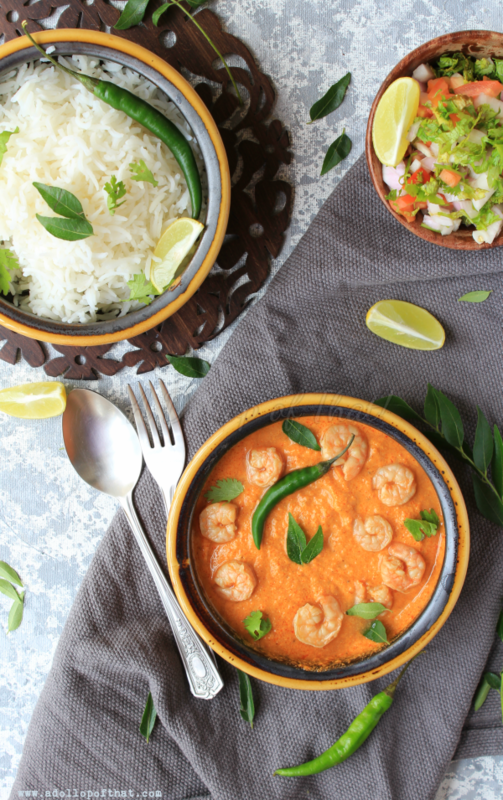 Borrowing heavily from the basic ingredients of a Goan Curry, the humble Parsi Prawn Curry tastes nothing like it, it does however taste great! Dry roast all the ingredients listed under Curry Powder* on a low flame, allow to cool and grind into a fine powder and keep aside. Next grind the coconut, onions, tomatoes, garlic cloves, green chilies & ginger paste and curry leaves into a fine paste. Now heat oil in a heavy bottomed pan on a low flame, add in the prepared curry powder, once it emanates a pleasant aroma add in the prepared paste, and cook till the oil in the mixture separates. Now add in 3 cups water and the prawns and salt to taste, cook on a medium flame till the prawns are cooked through. Just before serving add in the tamarind paste and give it one last boil. Serve with freshly boiled rice and Kachumbar salad on the side.